You will have heard all of the members of the Replenish team mention the benefits of C.B.D oil at some stage of our workshops, videos, talks, etc. In the previous Replenish's 'Steps to Self-Care' post, under the 'Medication: Synthetic and Herbal' section I talked about if I thought "a client could benefit from a natural aid to promote calm I'd always recommend ‘C.B.D. oil’. I wish I had this oil when I was a teenager rather than the placebo of ‘Kalms’ and ‘Quiet Life’." So I'm excited to let you know that MacCaffery's Chemist in Derry (and online) are stocked up on C.B.D oil and ready to sell to you with the added perk of working with 'Replenish' and giving you a discount code at check-out online and in-store. But first, let me sound like a cheesy commercial and tell you why C.B.D oil could change your life like it has changed mine. So, I live with O.C.D. I'm on medication for it. I have my self-care plan that consists of a mental-health friendly diet, yoga, hobbies, routines. You get the gist. However, despite all of this, I still get bad days, especially if I'm hormonal or stressed. So whilst I allow myself to have the bad days I also take C.B.D oil. Why do I take C.B.D oil? As I've said, I still get my bad days. So why I recommend C.B.D oil is because all humans have what is called our ‘Endogenous Cannabinoid System’ that regulates our mood, sleep, appetite, hormone regulation, pain, and immunity response. So that's why C.B.D oil, in high strengths, is also used by people with conditions that cause chronic pain, whether it be people with Fibromyalgia, Cancer and bone diseases.It has anti-inflammatory benefits and can also be used to treat acne. It’s important to consult with your Doctor or pharmacist about taking C.B.D oil for any of the aforementioned conditions. Absolutely. I’d not recommend it otherwise (lol) It’s not legal in all countries, but it is in Ireland. It can be bought in health food shops and in pharmacies such as MacCafferty’s. It is legal because whilst it’s from the 'Cannabis Stavia L' plant, it does not contain as much THC as marijuana, which is the psychoactive chemical that gives a ‘high’ effect. It's the fact that it's hemp, low in THC and high in CBD, which makes it legal. The oil can also come in ‘powder’ form that people mix into creams to rub on their bodies. However, it’s commonly bought as an oil. It’s recommended to take a few drops, to begin with, under the tongue for maximum and quicker absorption into the bloodstream. 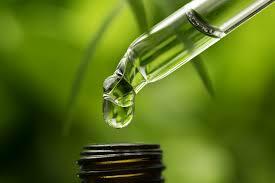 The C.B.D oil comes in various strengths and prices. 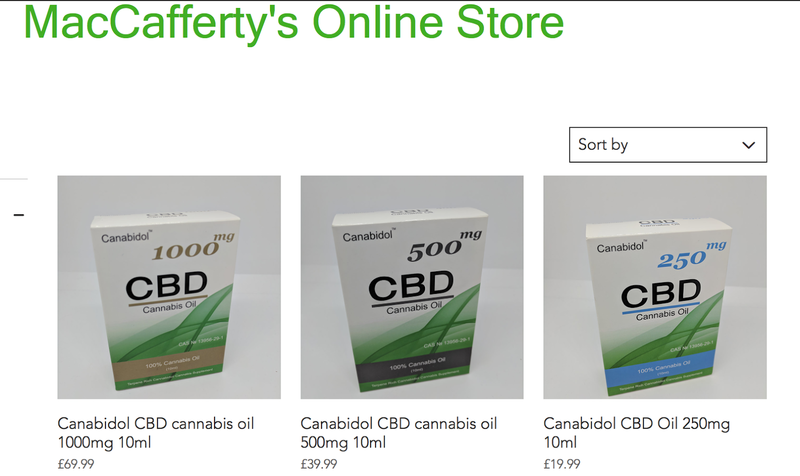 MacCafferty’s Pharmacy stock and sell three different strengths of a reputable brand of C.B.D. They are also offering 10% discount to anyone who quotes ‘Replenish’ at the till or in the coupon box in the online check-out. Have you tried it yet? Let me know in the Replenish Official Facebook Group. 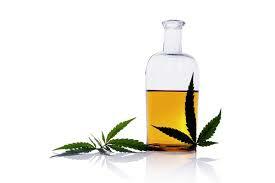 I agree that cannabis oils have a lot of positive things. Thanks for sharing the information related to CBD. Before reading this article, I was unclear about What is CBD and its legality. This article has cleared my doubts and now I can happily consider CBD related products for my health issues.